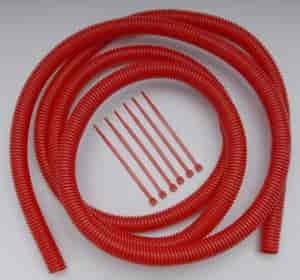 This flexible polyethylene tubing protects electrical wires from abrasion & heat. Slit for easy wire insertion/removal. Six 4" tie straps included.